The name “Lavender Hat” is a combination of the color lavender, which is associated with Queerness (lavender scare, lavender menace, etc. ), with the trope in the world of computers and especially cybersecurity of labeling philosophies as colors of hats (black hat/white hat/gray hat hackers, as well as the GNU/Linux distribution called Red Hat). It’s a fedora/trilby as a nod (or hat tip) to the history of Queer and gender-nonconforming women wearing that style, which predates the present-day connotations with anti-feminism by decades. 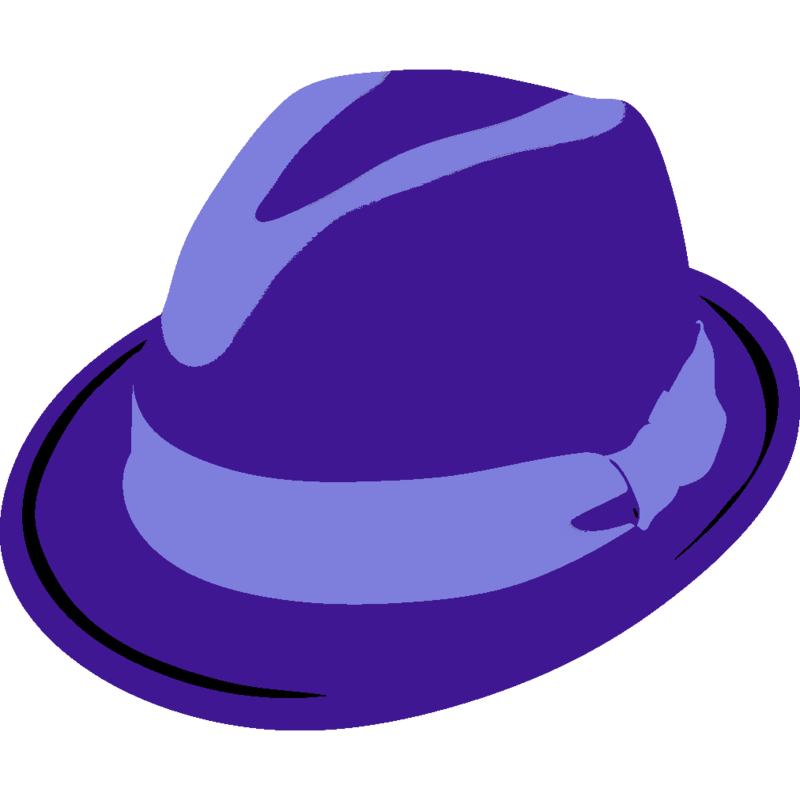 The fedora has also been used as a symbol in hacker/open source world (e.g. Fedora Linux, the free version of Red Hat Enterprise Linux) prior to its co-optation by misogynists. I’m reclaiming it. Follow me on Facebook and/or Twitter, if you feel like it.